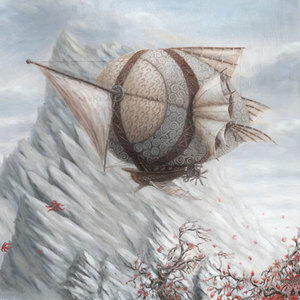 Take flight with an imaginative roster of artists presenting their vision of lighter-than-air aircrafts through concept work, original paintings, and sculpture. Each person attending this Saturday's opening is entered into a drawing to win a free hot air balloon ride. Coast through the clouds compliments of Soaring Adventures. We are thrilled to have a free DR SKETCHY session this Saturday complete with a pilot-themed model so bring your favorite drawing supplies (8 to 11pm).